Folks, you might have heard about 3D printing that has carried out a vast challenge in the market. Nowadays, 3D printing covers various sectors such as education and many other industries. Some designers and professionals have chosen to buy the 3D printer online. Today, we’ll discuss most popular brand ‘Anet, ‘ and its product. Anet recent launch Anet E10 Aluminum Frame Multi-language 3D Printer would surprise you. The E10 3D printer’s design looks beautiful and elegant. It comes with few parts very similar to Creality CR10 model, but exactly the copy of it. This high-tech Anet E10 3D printer can boost the sales of many other products available in a market. Currently, this product sold at GearBest at $299.99 only. Get to know more about the product. 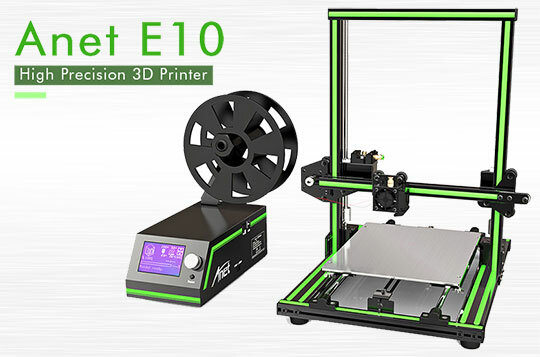 Anet E10 has Easy and Classy Large size printer. It comes with simple operation and uses Aluminum alloy material. Rotary knob type adds as the large screen which adds excellent look in the design. Integral Construction placed perfectly and came with rapid assembly. 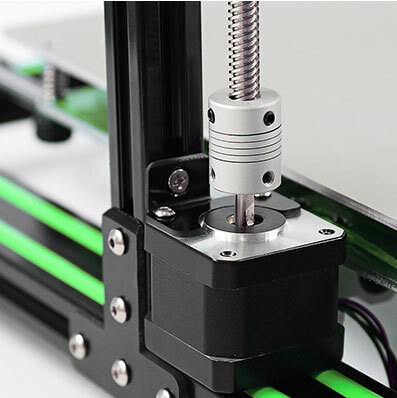 It works great to have high-temperature resistance and high precision printing. E10 comes with a long life working time of up to 48 hours. It uses the high precision pulley and leads screw. It has an AC switch power supply. No bubble, no warped so can reuse several times. The E10 3D printer has the less noise and larger screen size. Recommended reading: Addressing the Safety Concerns of 3D Printing with Metal. 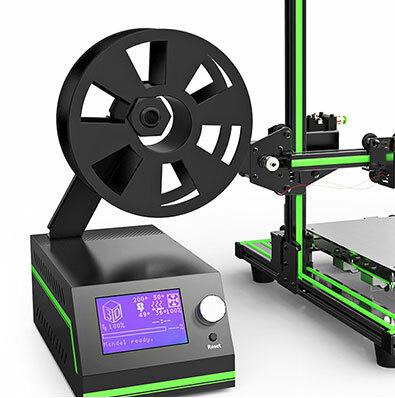 Why is Anet E10 Aluminum Frame Multi-language 3D Printer DIY Kit perfect for you? Firstly, this product prints 220 x 270 x 300 mm of volume and comes larger than previous DIY Anet. You might know that Anet A2 Plus print 220 x 220 x 270 mm of volume and cost $213 online. Why compromise on print size, if you can get more by adding only $77 for Anet E10. Moreover, Anet E10 comes with simple and superior design where the kids can even operate it smoothly. E10 printer furnished with Bowden extruder and does not come with a full metal end. As it does not have hot metal ends, E10 won’t allow printing at the temperature above 240C, which is a drawback of this model. Adding the higher PSU in the E10 model can resolve your problem with allowing 360 C of power rating. You might be thinking that buy a model with larger PSU would be the right option. The Zhuolan PSU comes with 360W and costs $29 for shipping. 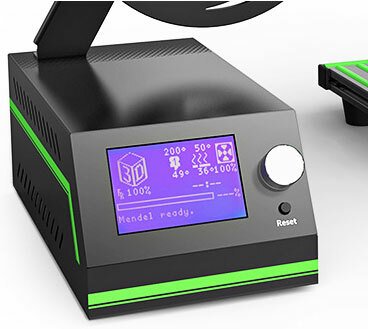 Whereas, Anet E10 model comes with console box and has its cooling fan, which keeps the heat down when required. The E10 box comes with power supply socket and own upgrades for X and Y axis belt tensioners. This tensioner comes with a pre-built feature. The product hasn’t mentioned MOSFET for the heated bed as it won’t be pre-installed. MOSFET gives the power to heat the bed to heat the temperature above 60C on a regular basis. You may also like: 15 Best 3D Printing Software you should opt for. Overall, We can say that E10 comes with significant improvement by providing better printing experiences. Anet E10 uses PSU which the previous DIYs uses. It works very smoothly and provides enough power supply for the printer to operate. Anet E10 is available online at GearBest for $299.99 only. By using promo code “ANET10”, you can buy this same product at $279.99 price. Isn’t it a Cool product at an affordable price? Get Anet E10 3D printer today with GearBest and don’t hesitate to promote the product with your friends. Rack up the sale by using this promo code as it is valid until 31st August 2017. So, hurry up and order this product today.